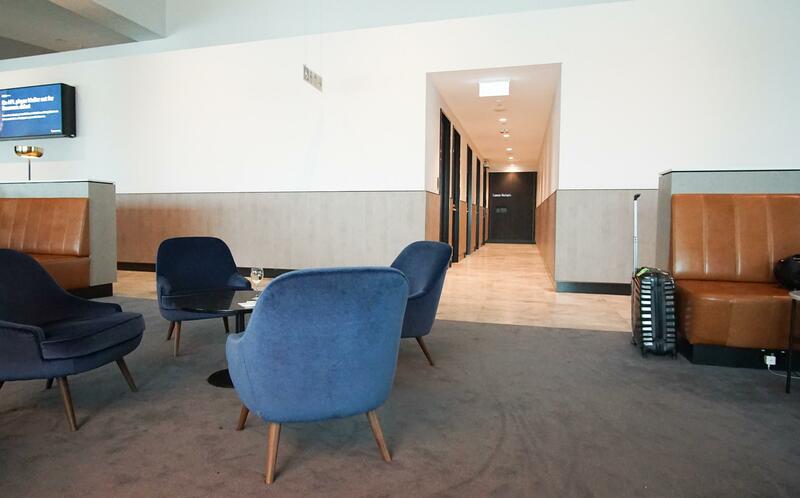 The updated Melbourne Domestic Lounge had its grand reopening in November 2018, and now takes prime position in front of the windows in the lounge precinct. 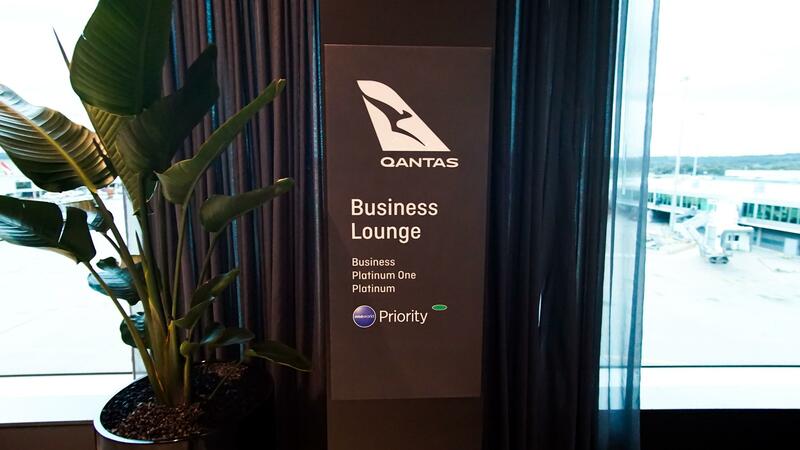 Passengers holding a Business Class ticket, as well as Qantas Platinum, Platinum One and oneworld Emerald status holders are granted access to the lounge when travelling on Qantas or Jetstar flight. 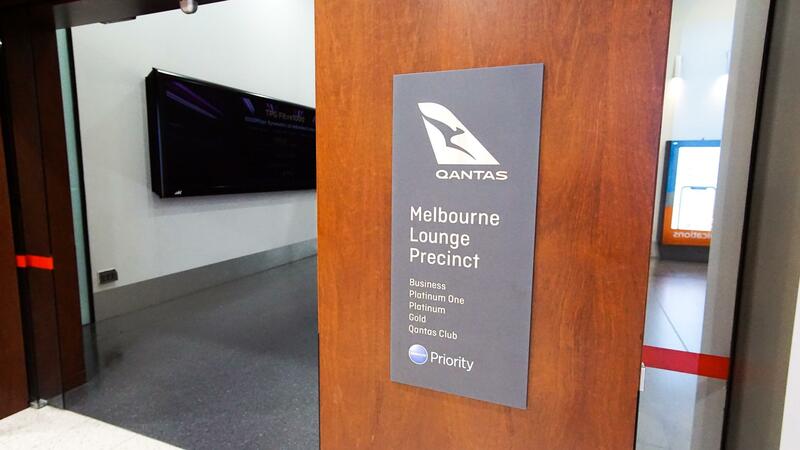 Passengers with a single-entry lounge pass, Qantas Club members and Qantas Gold Frequent Flyers are directed to the adjacent Qantas Club. 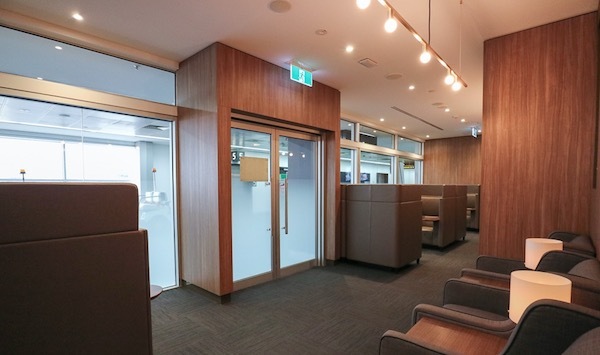 To access the lounge, you head to the lounge precinct entrance, found immediately to the right after domestic security screening. 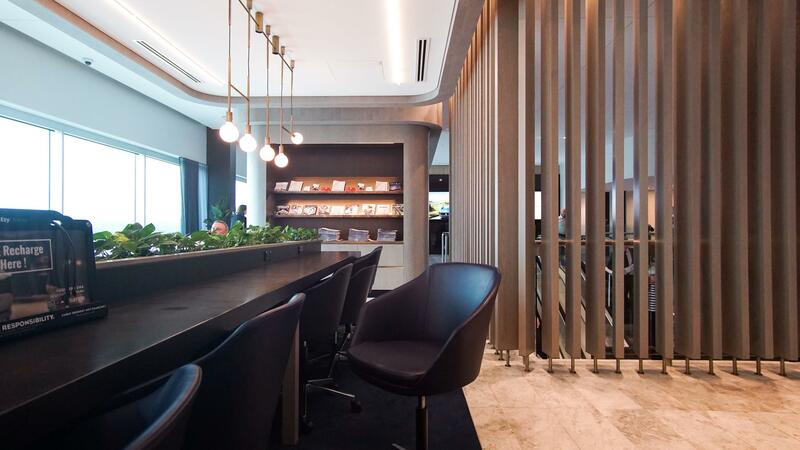 Head up the escalators and swing left at the top, to find the now-separate entrance to the Domestic Business Lounge. 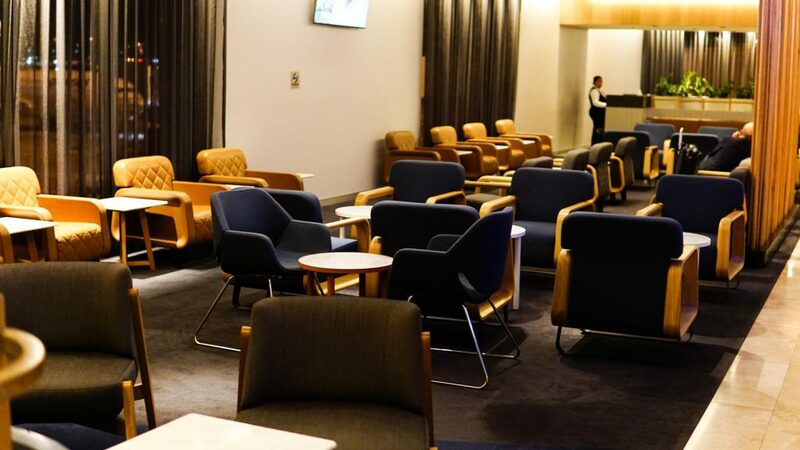 The lounge is typically open from one hour prior to the first Qantas departure, until boarding is called for the final Qantas departure. 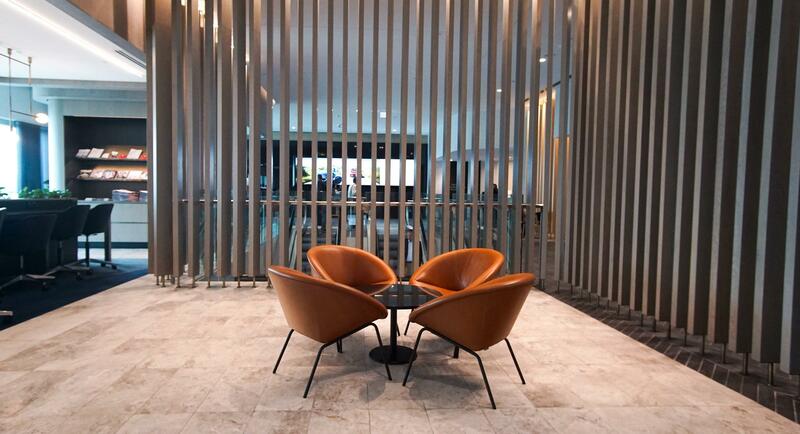 The business centre and some isolated seating can be found immediately on your left after you enter. 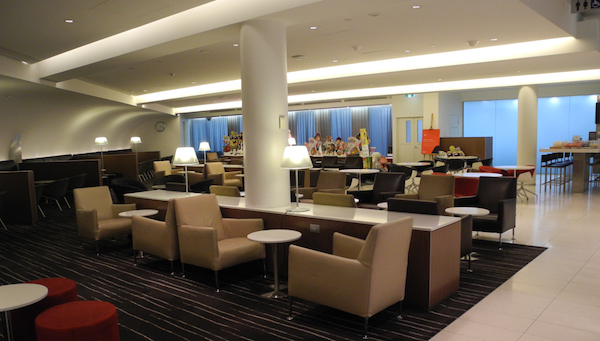 This area is often the last to fill up during busy periods, as most people venture further into the lounge first. 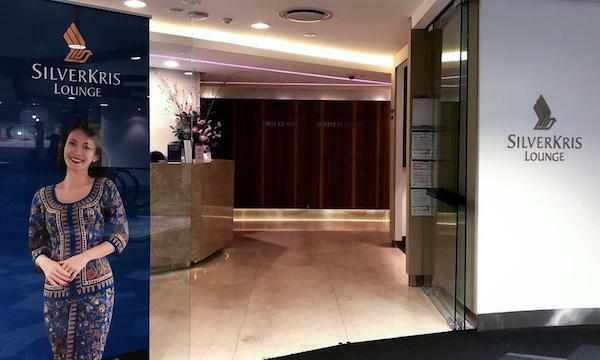 Past the service desk, you will enter the lounge proper. 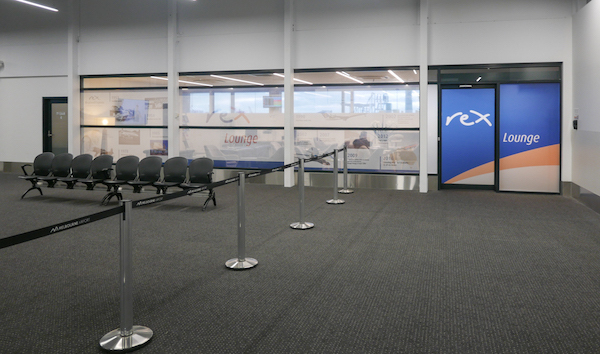 As a rule of thumb, all of the main seating areas are on the right, split into smaller zones. 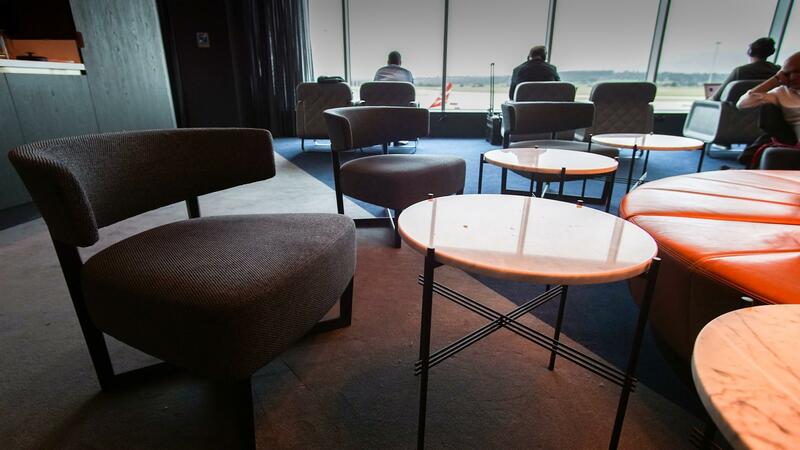 You will find an eclectic range of seating—some for solo travellers (above) and some for groups, such as these pineapple-like circular sofas. 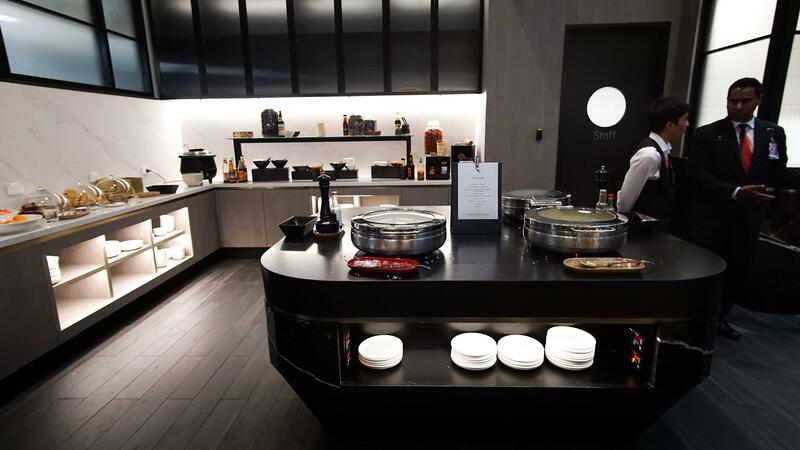 Towards the left and centre of the lounge are the main food buffet and Spice Bar. Opposite the dining area on the window side proudly stands the open bar. As you continue to walk further in, you will find two corridors on your left—one leads to the toilets and the other leads to the showers. 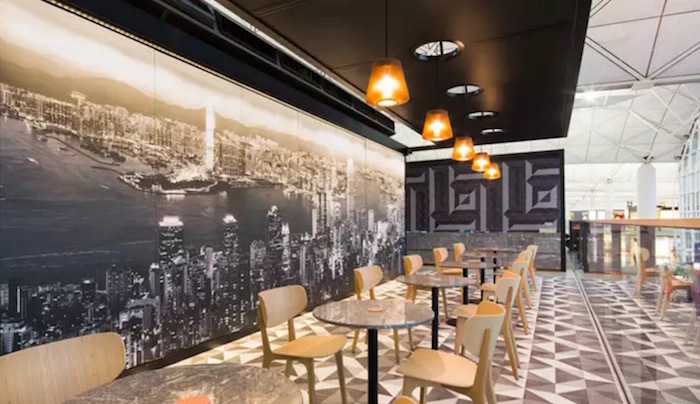 There is one more block of seating at the far end, with some newspapers and magazines spread on a desk. 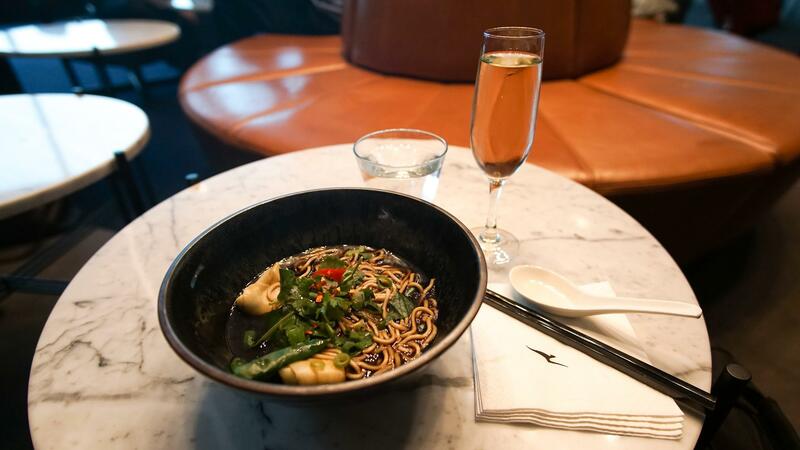 Undoubtedly the standout at this lounge is the Spice Bar, dishing up a range of Asian-inspired flavours from char-siu pork to noodle soups. 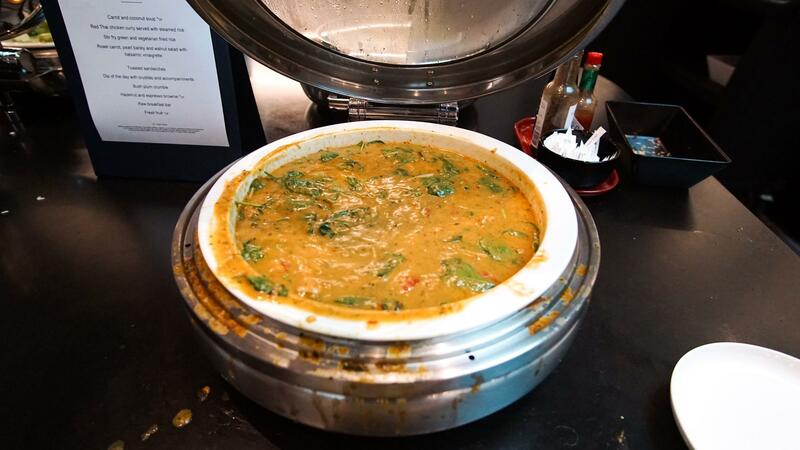 Most of these dishes come mild, so there is a selection of spices to add to your meal if preferred. 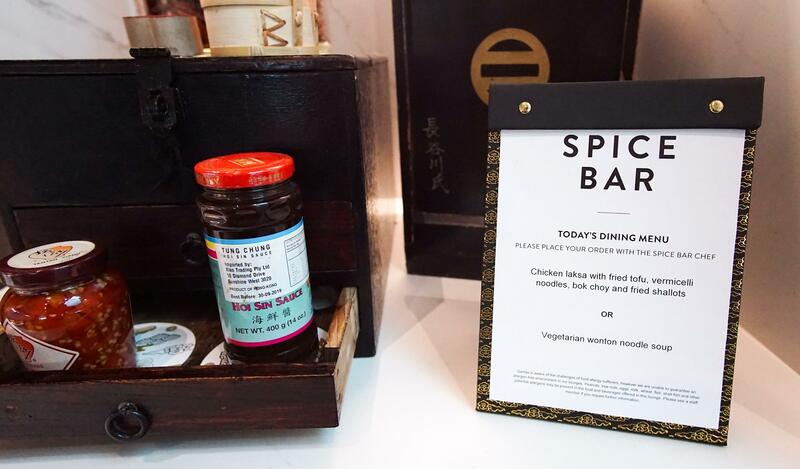 The quality of the noodle soup from the Spice Bar was really good for a domestic lounge. 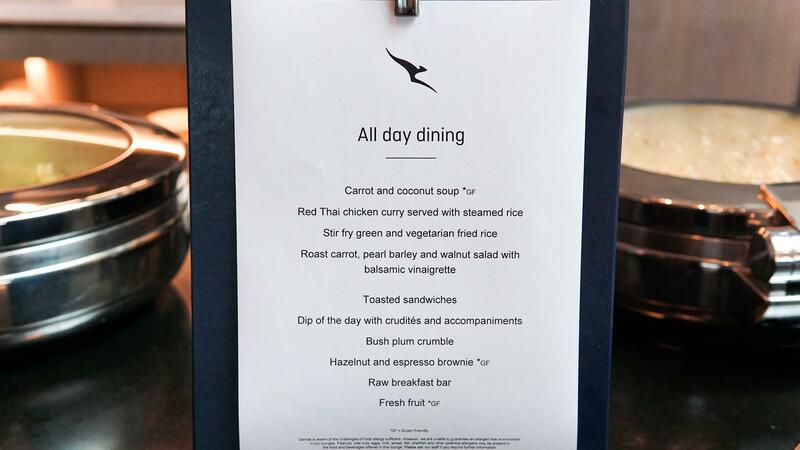 There is also a standard buffet menu, with all-day dining from the afternoon onwards. 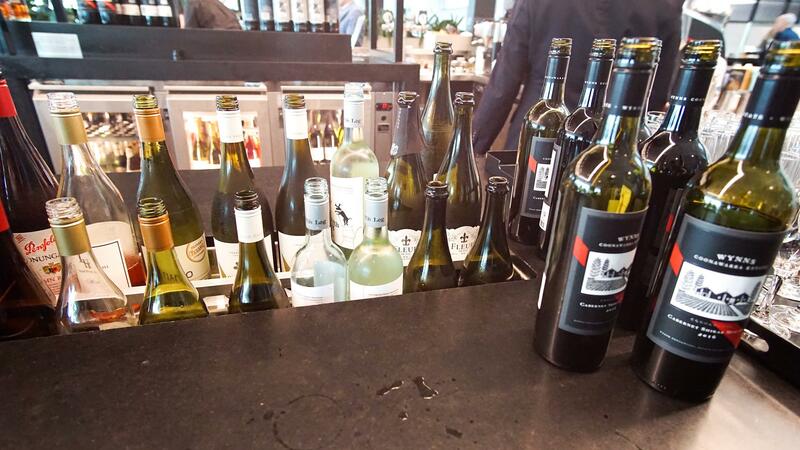 The bar stocks a decent selection of beers, wines and spirits, including Fifth Leg Sauvignon Blancs and Fleur de Lys sparkling. Barista-pulled coffee is also available from the bar. 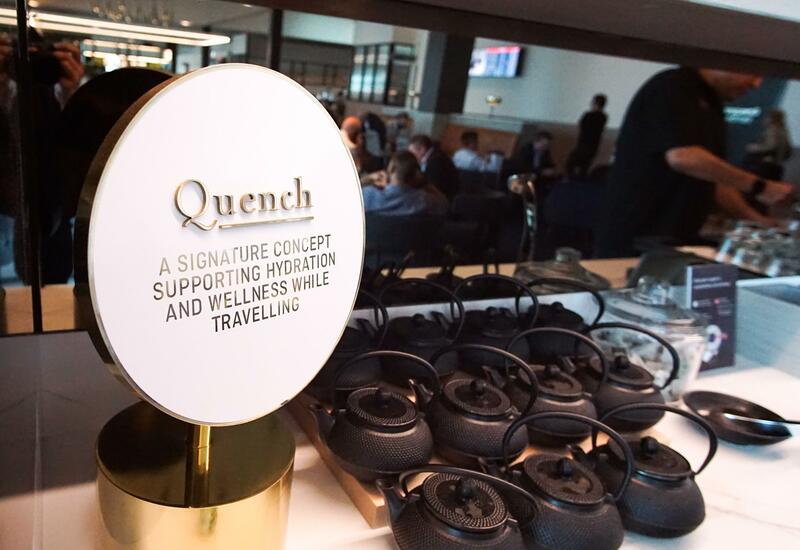 Finally, Qantas’ signature non-alcoholic ‘Quench’ station provides a selection of infused waters and signature tea tisanes to brew yourself. 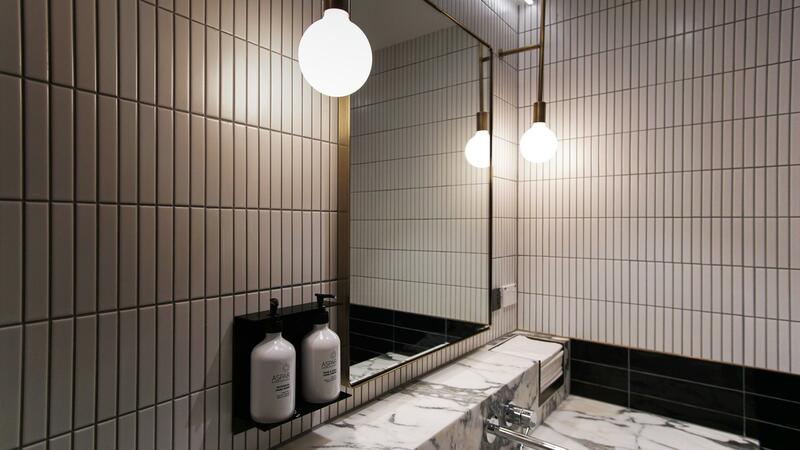 The bathrooms look very classy, with marble surfaces and gold trim. ASPAR hand wash and hand cream products are supplied. 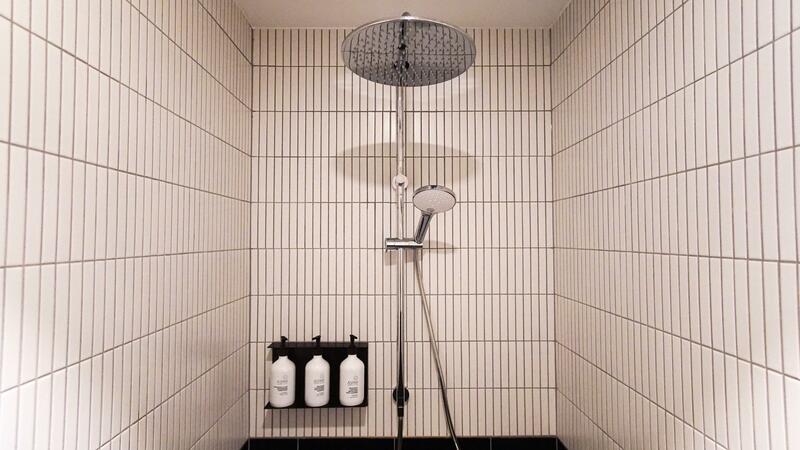 There are five shower suites, completed with a set of separate ASPAR shampoo, conditioner and body wash. 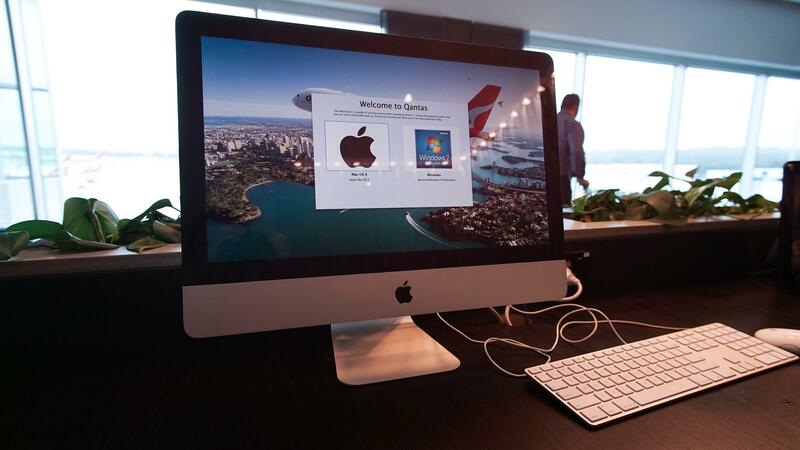 The business centre at the front of the lounge has one solitary Mac, which can boot into MacOS or Windows as required. When it was working, the wifi was very zippy at 75/110 Mbps download/upload, however, it occasionally dropped out unexpectedly, potentially because lots of people were trying to access it at the same time. 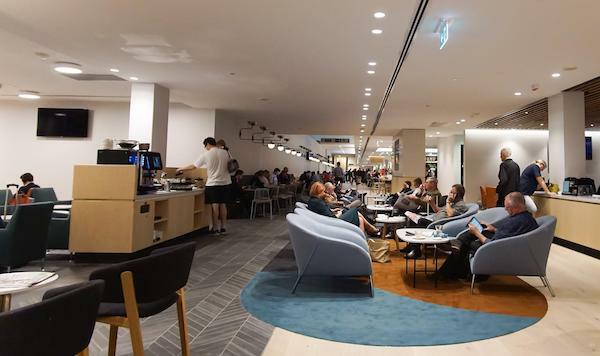 There are plenty of power outlets around the lounge except for the dining area—look around the edges of the rooms and around the seating. 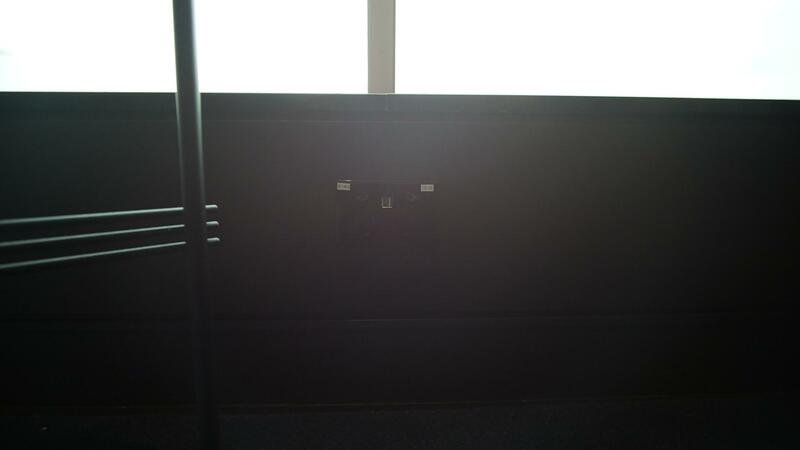 You might need to look hard though, as some are painted black and blend very well onto black surfaces. 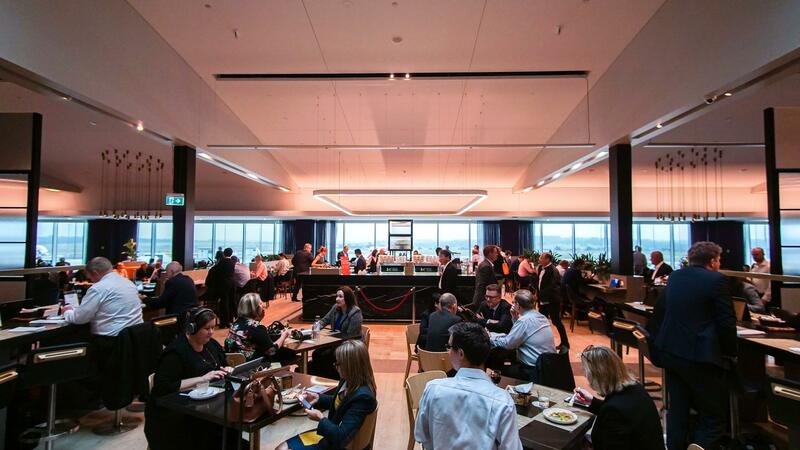 Further information regarding lounge access can be found here. 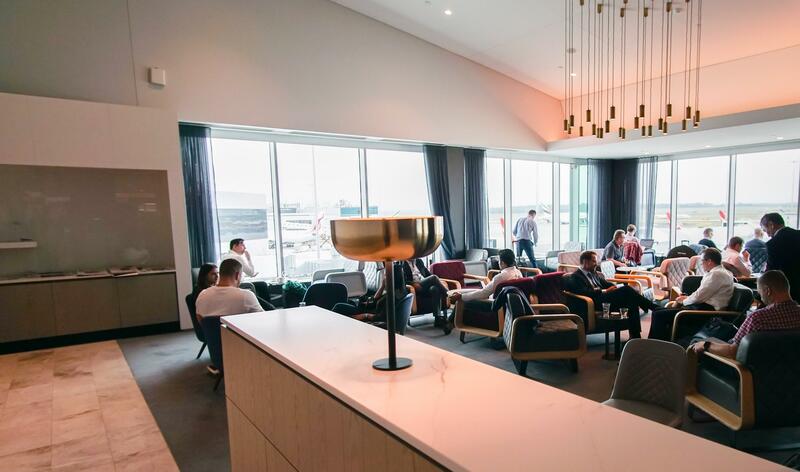 Credit cards aren’t an option when visiting Qantas Business Class lounges—there are a handful of credit cards that each offer two entries per calendar year to Qantas Clubs as a perk, but the Qantas Domestic Business Lounges are limited to status holders and travellers in Business Class only. 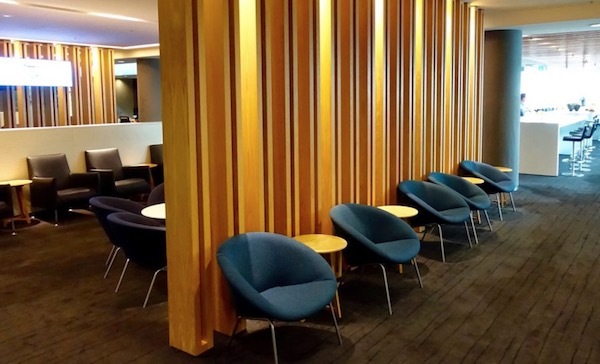 Access to this lounge is granted even on the shortest Business Class flights out of Melbourne, so if you have some spare Qantas Points lying around, all it takes is booking a Business Class ticket to Sydney or another nearby destination. 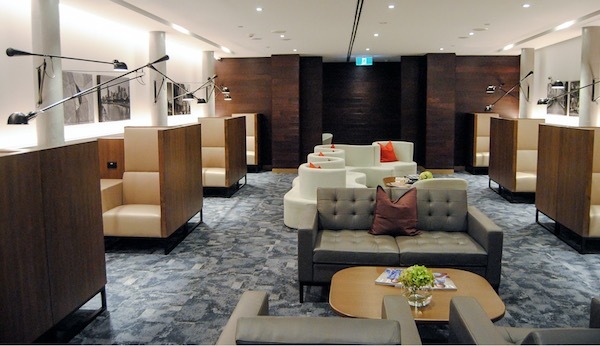 If you have Platinum status or higher, you can access this lounge even when on a cheap domestic Jetstar flight. 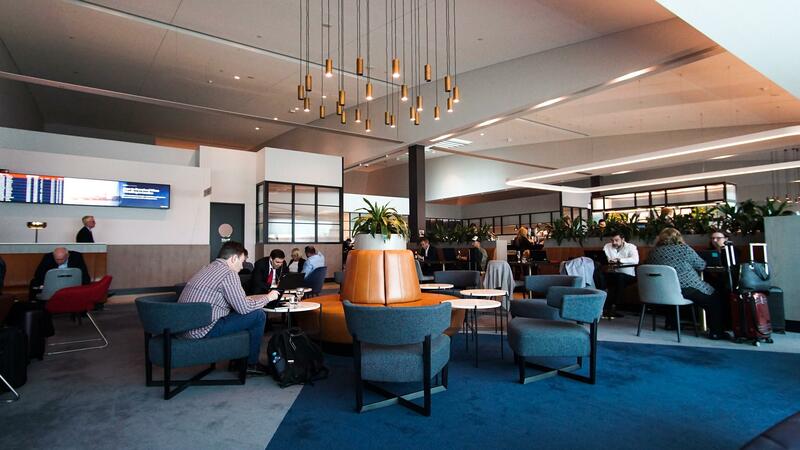 The Qantas Domestic Business Lounge Melbourne is an outstanding renovated space for travellers to stop through, like its counterparts in Brisbane and Perth. 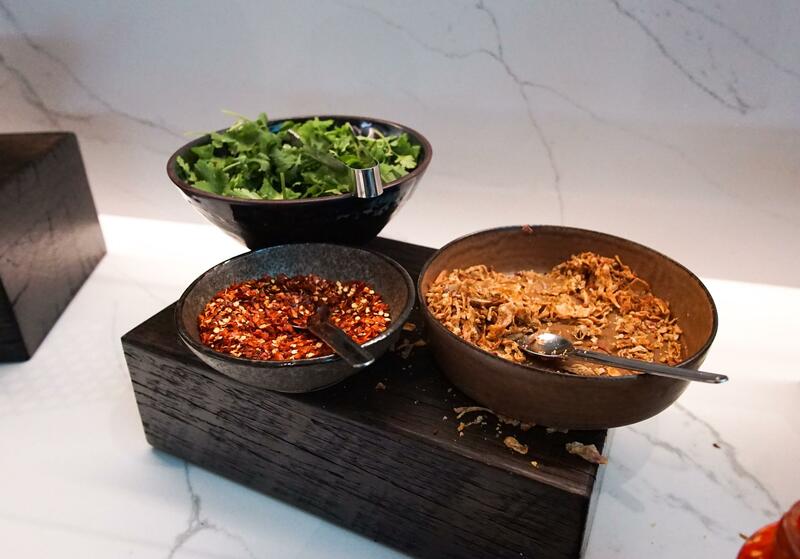 The Spice Bar is the standout feature of the lounge, offering flavoursome made-to-order dishes that make for a welcome change from the usual domestic lounge salad bar. 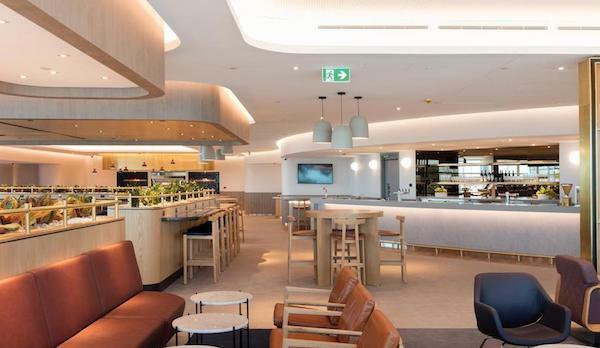 Travellers will find the amenities up-to-scratch, whether you are ducking in after a day of work or connecting from a long international flight. 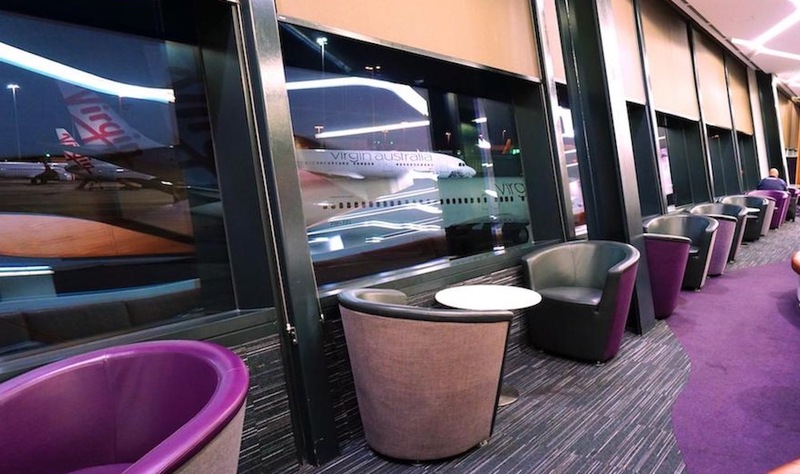 Expansive window views offer a great look at Qantas’ day-to-day operations in Melbourne. 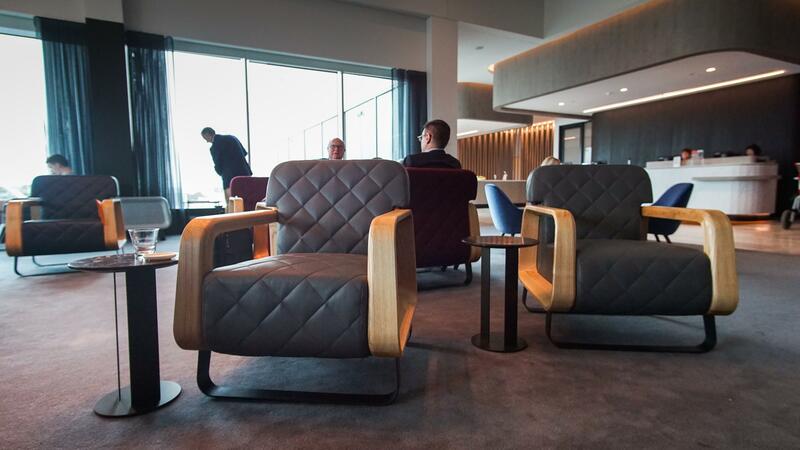 There is not much I can nitpick about this lounge. 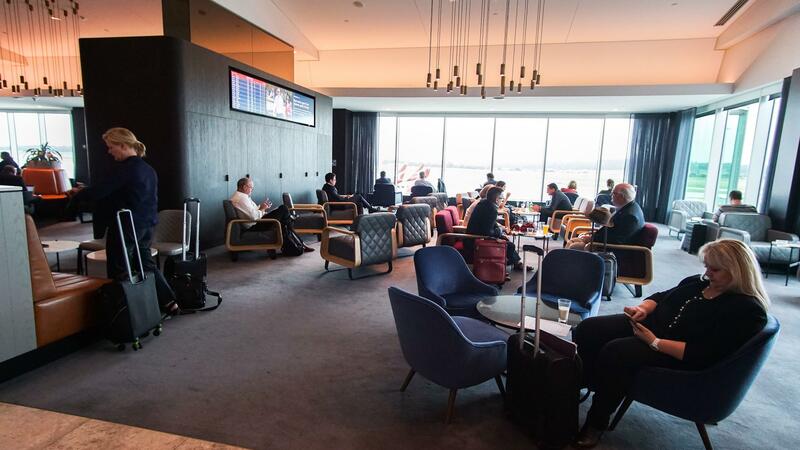 It does get very busy during peak periods, as you can tell by the photos, and could benefit from a dedicated kids’ area if there was more space, but there is no denying that this updated lounge is leagues ahead of the old Qantas lounges.